One of the things I really liked about this top was that the wedges appear to be floating on top of the white strips because of the slight overhang on the corners. 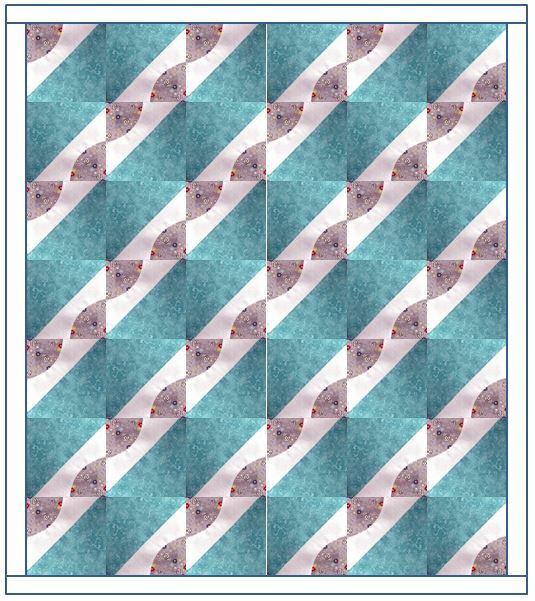 I really liked that layout too and may make another quilt like that. So, how did I make this block? 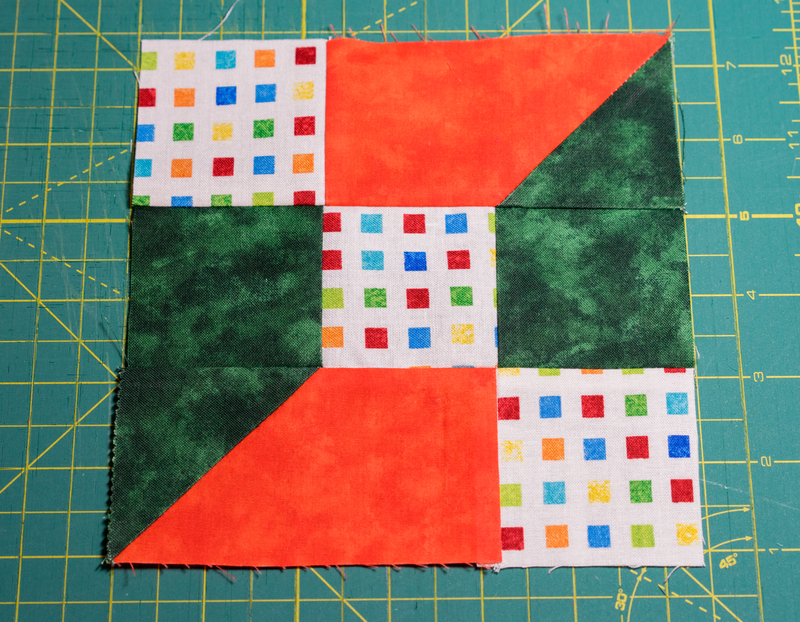 This is a half-square triangle with a quarter circle wedge cut out of the lower corner. However cutting and sewing that quarter circle was done in a bit of an unconventional manner. Since many times I get ideas then look at what tools I have available, I wondered if I could figure out how to make a Drunkard’s Path type of block without a template. I ended up using a ruler I had that was designed to cut quarter circles in different sizes. You normally use it to make full circles from pieces of fabric that you fold into quarters. It’s called the Omni Arc and it worked great for cutting my quarter circle wedges! However I had to make some additional cuts to fit the piece in properly. More to come on that. For the 3-pin technique, I actually did not put the top and bottom pins in, just the center one, which I felt made it easier to manipulate the fabric to keep the edges lined up. Both methods worked for me. Using the pinning method at first made me feel more confident. Then after I had made a few blocks I tried the no-pin and made blocks successfully as well. Also, using a shorter stitch length when sewing the curve was helpful. You may already use a short stitch length when piecing, but I shortened mine even more than I normally do (1.7 mm on my machine). Regardless of which technique you use, it is possible to pull the top fabric a bit hard and end up with your pie shape not quite matching at the end. If that happens, you can still square up the block if needed. 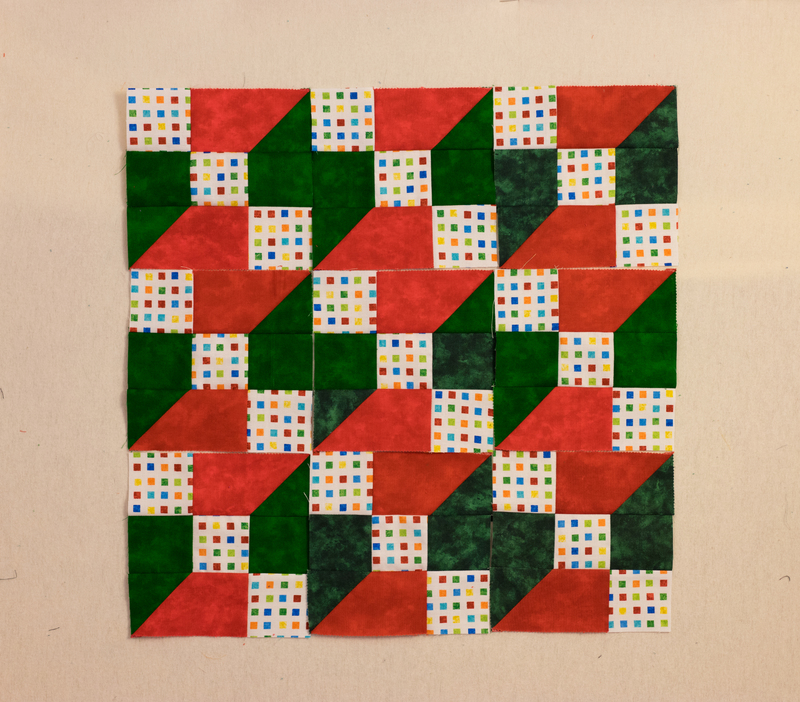 So, before I show you how to make this block to make this quilt, I want to give a plug to the makers of the fabric I used. I just loved the colors and print of these fabrics, and as I tend to do just bought some with no idea how I would end up using it. 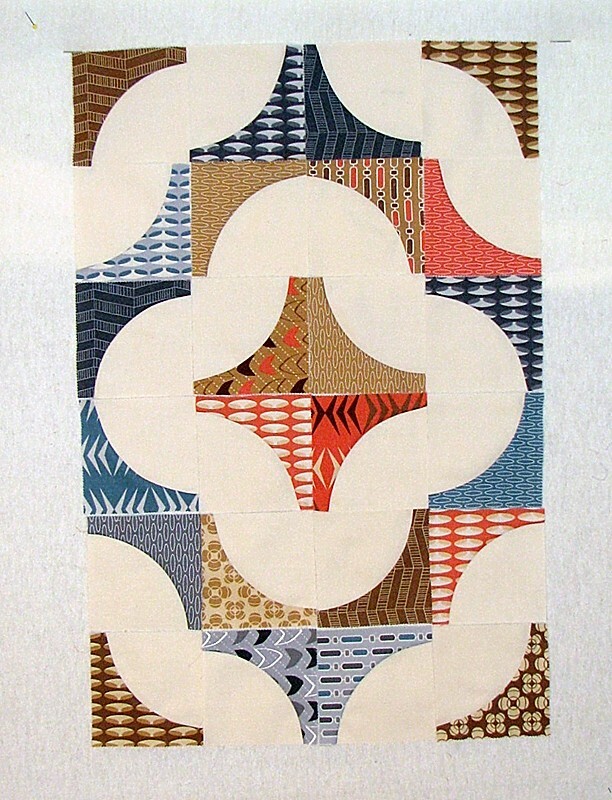 The charm packs I used are by Amy Ellis called Modern Neutrals for Moda fabrics. 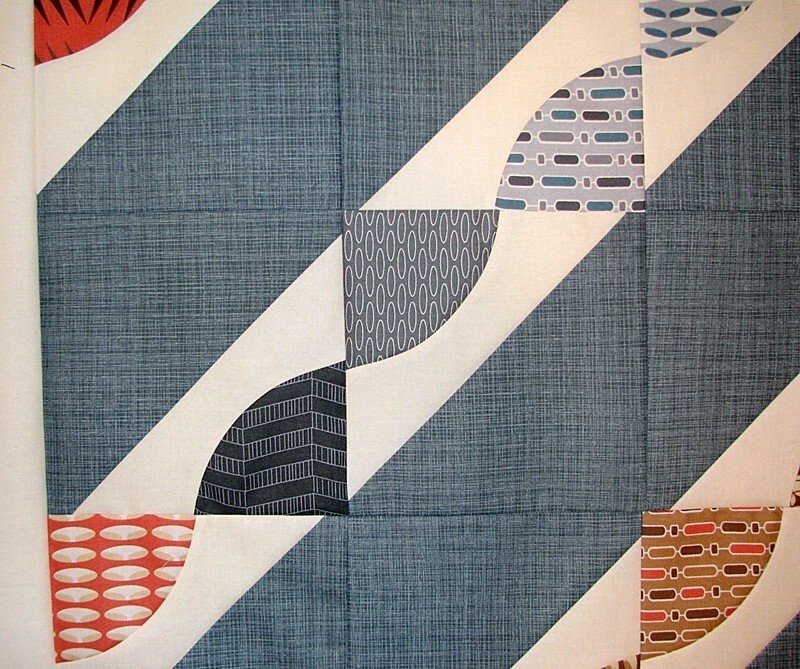 The gray/blue colored fabric is by Kate & Birdie Paper Co. for Moda as well, and I believe is called Signature Linen. Not sure about the cream-colored fabric, but it all worked so well together I felt I wanted to share that information. 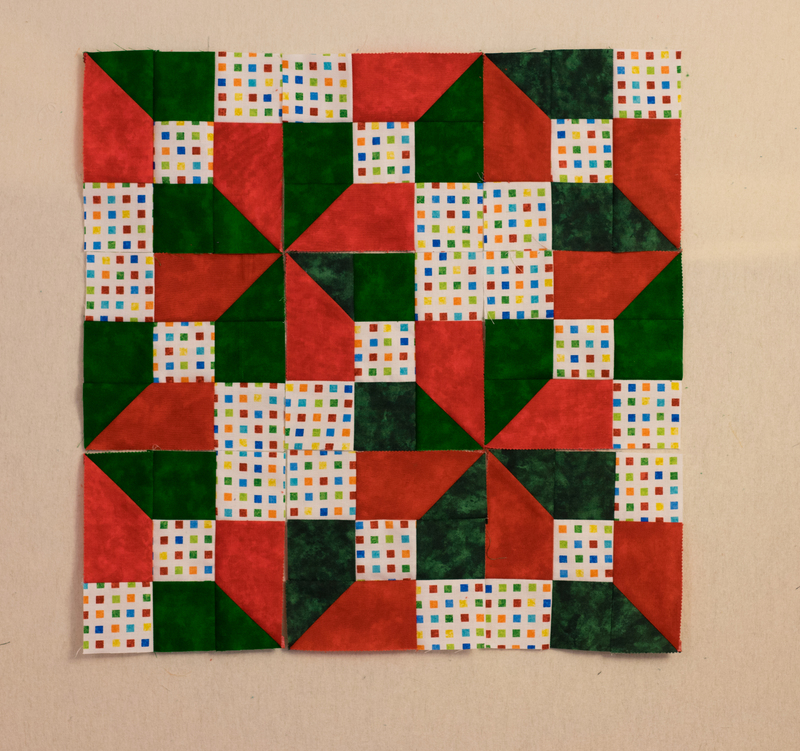 Hop on over to my tutorials page to see the step by step process I used to make this quilt block. 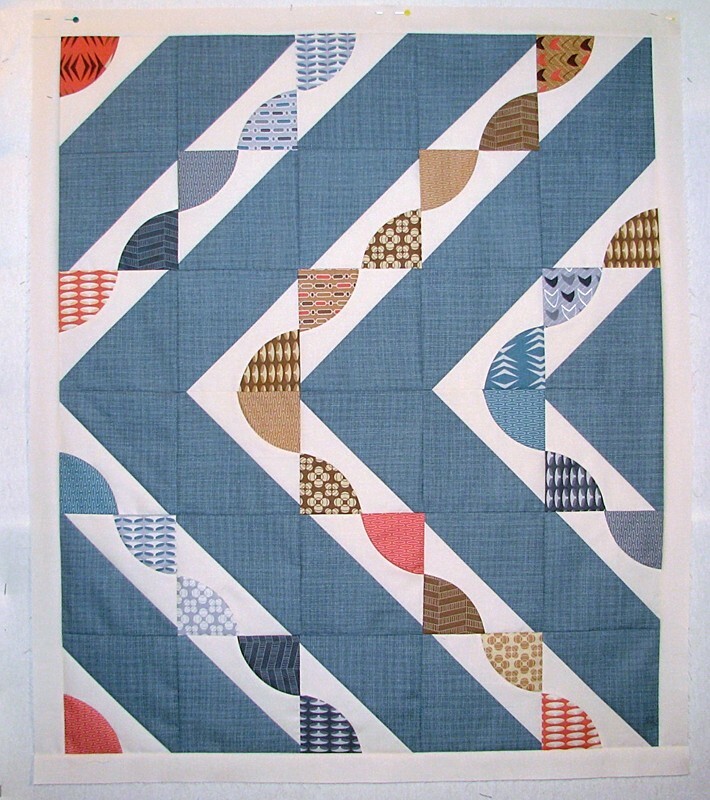 This entry was posted in Projects and tagged Amy Ellis, curved piecing, drunkards path, experimental quilt, Kate & Birdie, modern neutrals, modern quilt, Omni Arc on December 13, 2014 by denmck.